After directing Crimes of the Heart last year in the Choir Room at South City Campus, Frank Gerrish, director of Theatre and Film Studies at Salt Lake Community College, is excited to be opening this year’s play Inspecting Carol in Salt Lake Community College’s new Black Box Theatre. “Being the director of a black box is one of the most fulfilling experiences of my life,” said Gerrish. Black box theaters offer a more intimate setting and greater control over theater configuration than traditional theaters. This creates a more powerful experience for the actors and the audience. “It’s like a freight train. Once you get up there [on stage], it doesn’t stop. You just have to keep going,” said Andrew Johnson, an actor whose second play for SLCC is Inspecting Carol. “Just talking about it gets me excited.” Johnson has worked in movies including Propensity with Heather Beers. SLCC’s black box seats a maximum of 55 people. This allows the audience to be very close to the actors. The black box’s architecture allows the stage to be anywhere the director chooses. Theater in the round is a possibility, as is the regular proscenium option that traditional theaters have. “It is a completely moveable space,” said Gerrish. The walls of a black box are painted black to enhance lighting cues and setting. Plays that are performed in a black box tend to have simple cues indicating set pieces – a house may be represented by a frame rather than by building a house. “You have to have way more imagination,” said Johnson. Because the set pieces tend to be simpler and more representational, black boxes require a little more from their audiences than other stage plays and films. 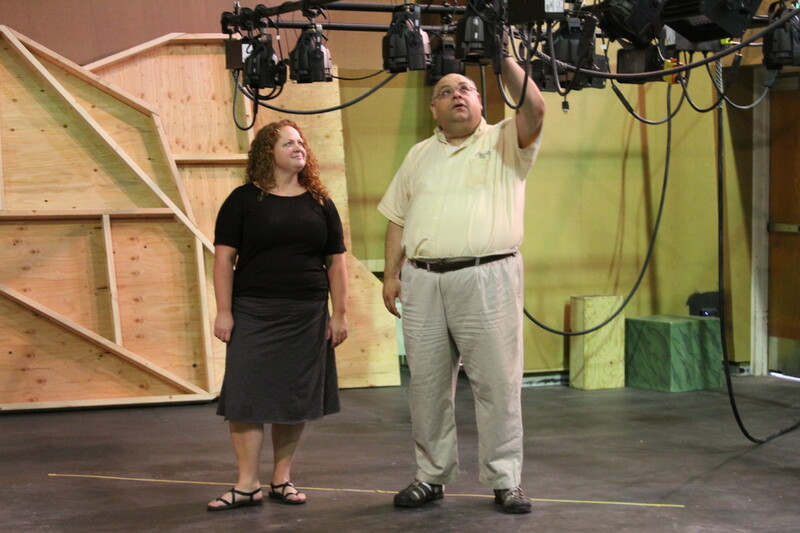 About 15 to 30 people will be cast in any production at SLCC’s black box; Inspecting Carol has 11 actors. “I don’t have to have young actors playing older roles,” said Gerrish. “I can cast almost every role in any play from our community college population.” That allows Gerrish to pick plays that have more depth. There are two shows per year at the theater. Because the plays are tied to classes, SLCC will not have more. Each show will have a three-week run – the longest run of any college in Utah. “By the time you do it the third week, you know what it’s like to do it as a job,” said Gerrish. “People were having true emotions and feelings in an artistic place,” said Rosquist. He realized that sincerity can come from different places and that the better that people are at sharing their emotions, the more they get back. Actors who decide to continue with the program usually earn their Screen Actors’ Guild or their Actors’ Equity Card. Inspecting Carol will run Nov. 3 through 5, 9 through 12 and 16 through 19. Shows begin at 7:30 p.m. and tickets are free for students, faculty and staff. General Admission tickets are $10.00. The Black Box Theatre is in room W210 on the South City Campus.